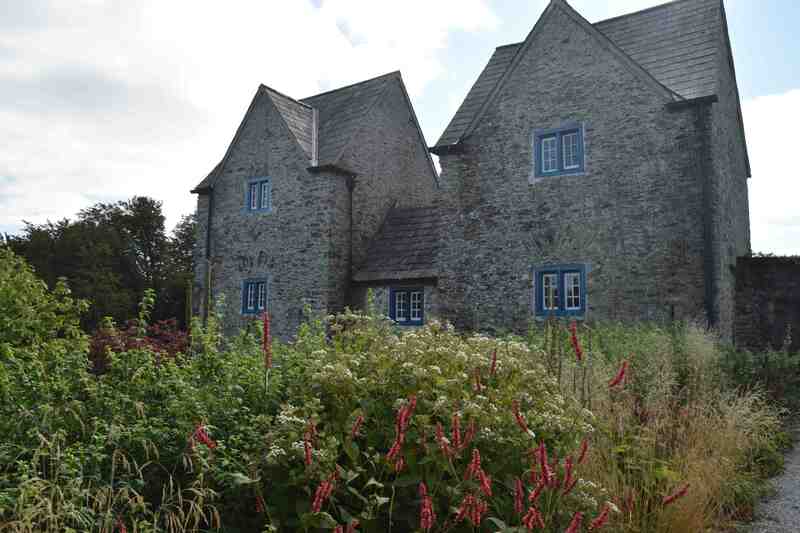 When you enter the garden and hand over your €8 you have the choice of entering the lower garden or ascending the wooden stairs and crossing above the road through the building shown below. 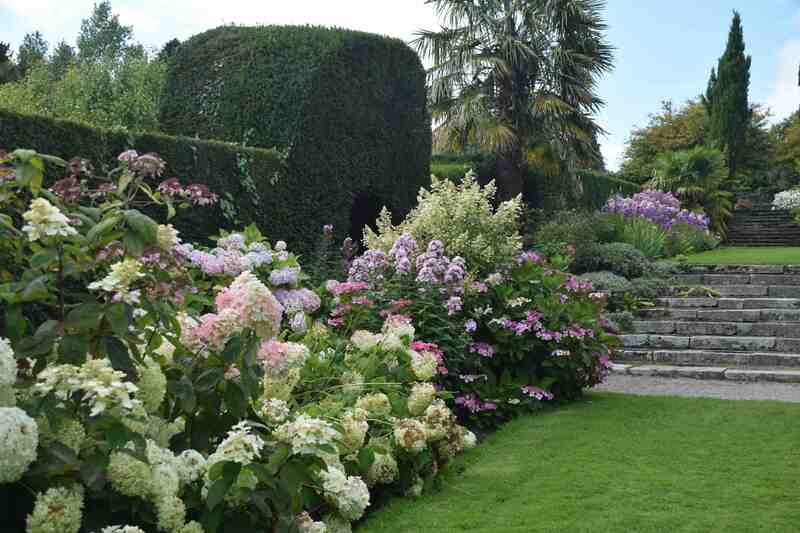 As you emerge from this you enter a large walled garden that slopes up away from you and is bisected up its centre by a sloping path and sets of stone steps lined with a magnificent set of borders filled with hydrangeas and phlox in its lowest half and mixed herbaceous borders at the top. 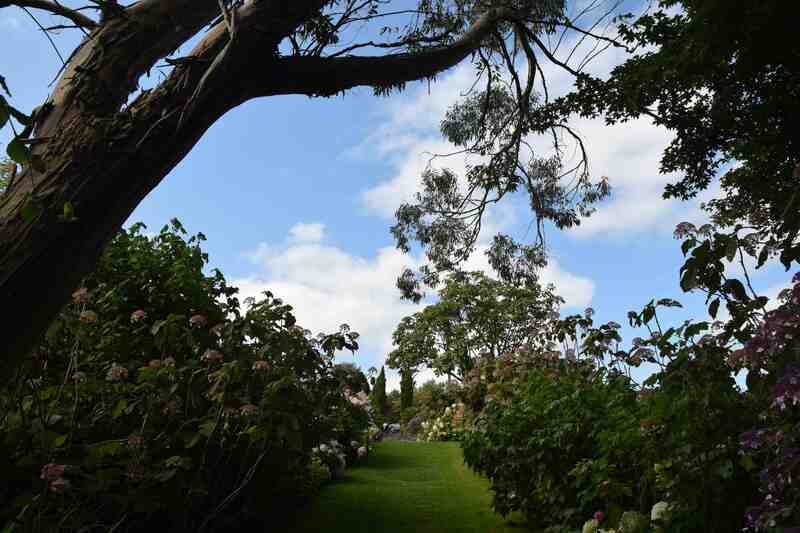 Backed by old yew hedges, these hide the ‘rooms’ or themed areas to the side that include a tennis court and vegetable beds and fruit cage at the upper part of the garden. 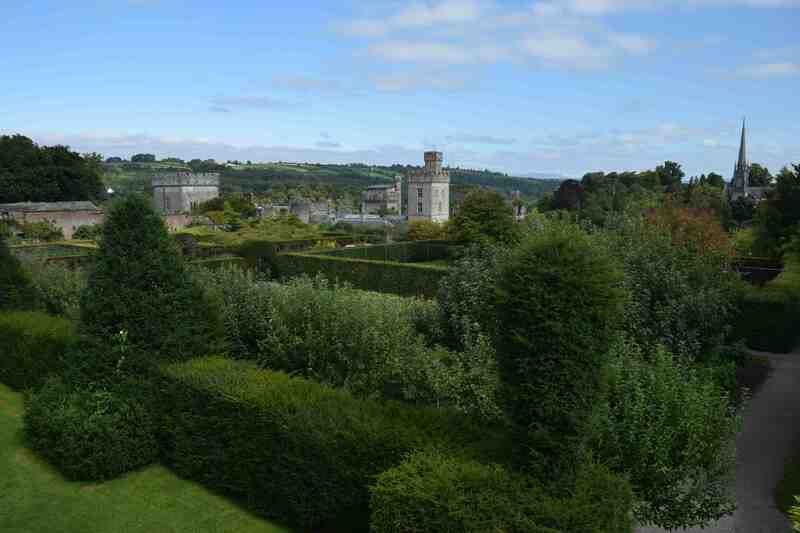 The photo above shows the view diagonally across the garden from the top of a round tower in the far corner of the garden from the castle itself. 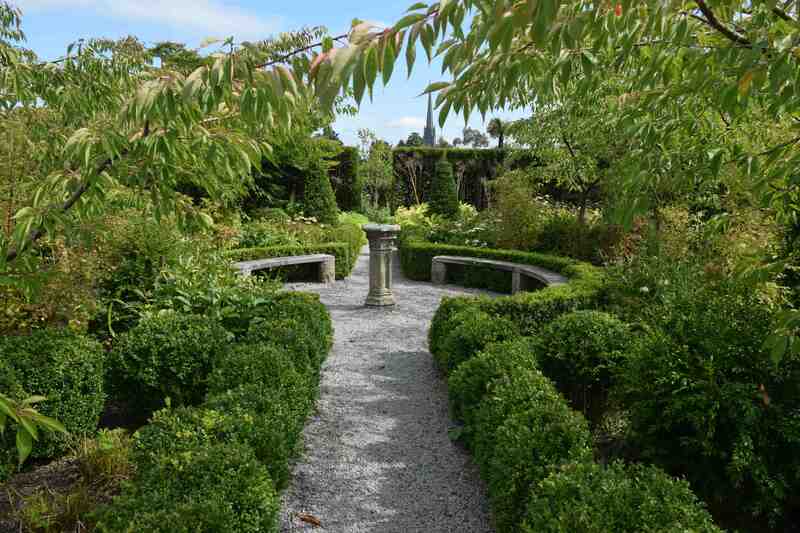 One of the most impressive aspects of the garden was the new plantings. 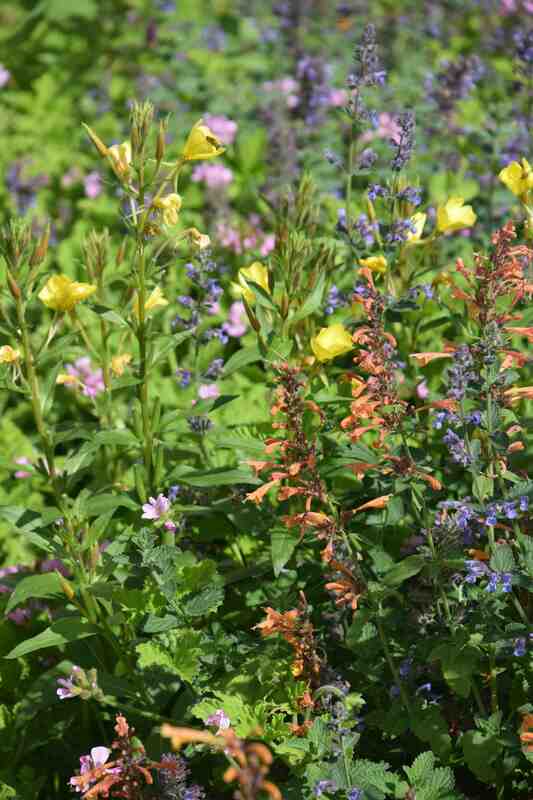 In the lower corner of the garden, near the entrance to the cafe area, there is some lovely planting in the style of prairie planting with agastache, nepeta, oenotheras and lots of geranium ‘Rozanne’. 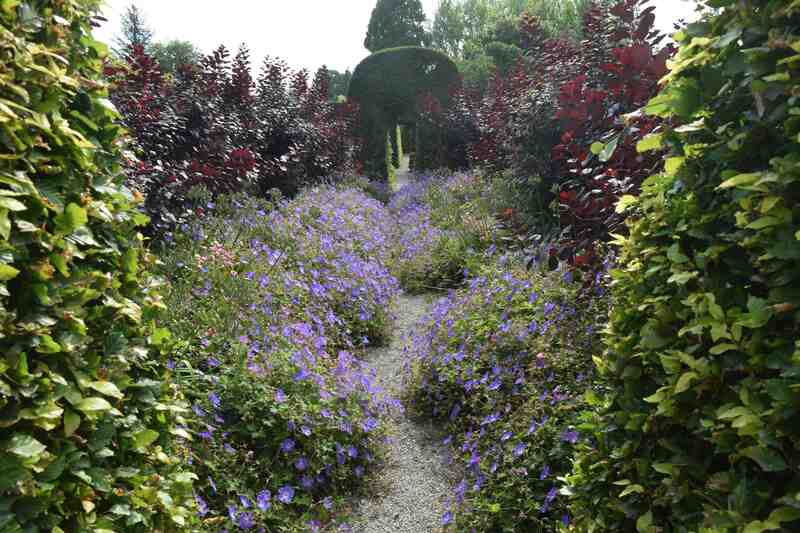 In fact that geranium is used a lot in the garden – and why not. Just below this area was an amazing berberis with the best berries I think I have ever seen. Every now and then someone goes on about the culinary use of barberries (berberis fruits) and when you see a plant like this you can see why – just a shame they would be SO painful to pick. 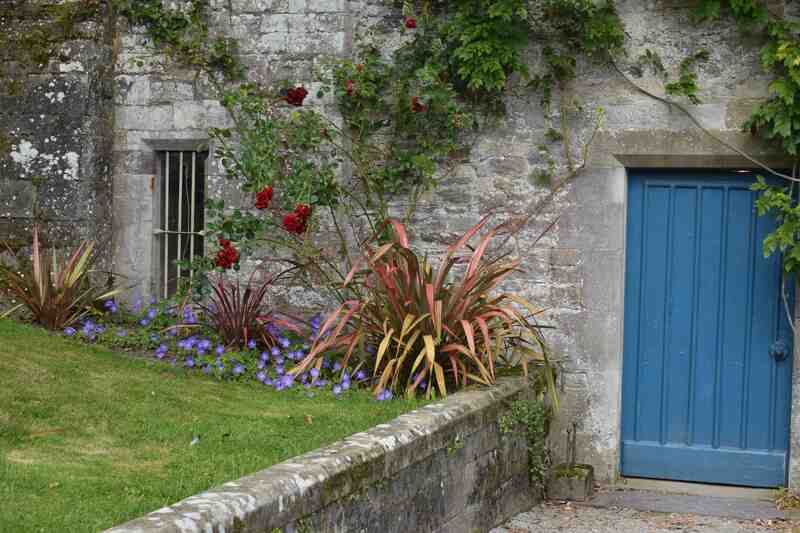 The woodwork throughout the garden was all painted this colour which I thought looks so good – oh and some more ‘Rozanne’. Yep, you guessed it – more ‘Rozanne’ but here lining and almost swamping a path. In a garden where the planting is often traditional I really admired the restraint shown here where the back row of purple cotinus has a row of rose ‘The Fairy’ in front and edged with an ebullient river of ‘Rozanne’. 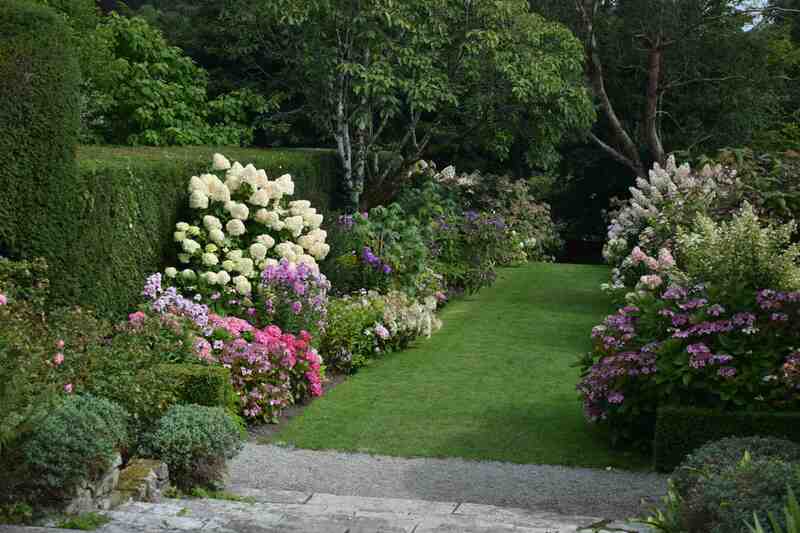 these show the colour and splendour of the hydrangeas better. 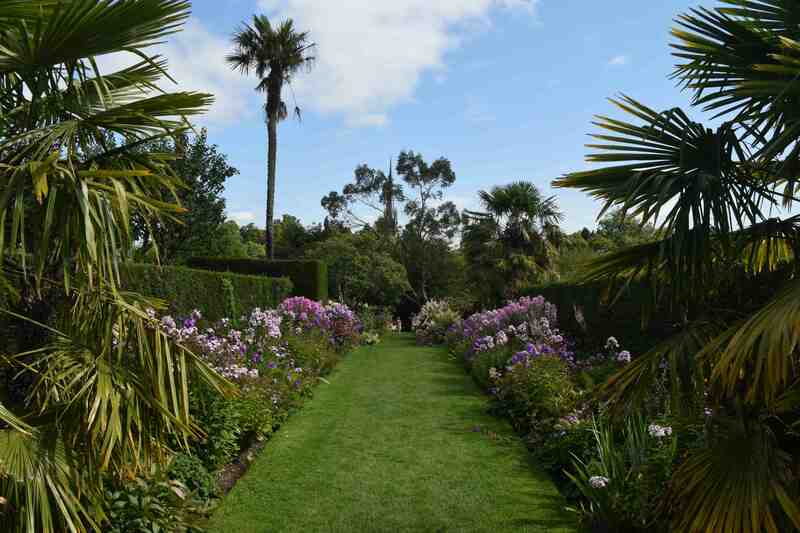 Another surprise was this ‘garden’ filled with pastel colours. Formal and symmetrical it is dominated by cherry trees and styrax with a central sundial and beautifully crafted seats but there was colour now from pale cream echinacea. 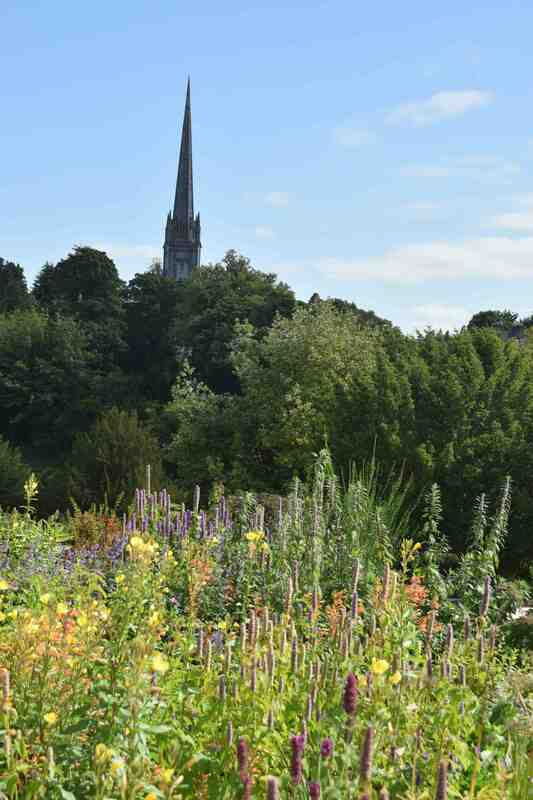 Tomorrow I will show you the ‘wildflower’ meadow filled with countless exotic annuals sown as in a natural landscape. 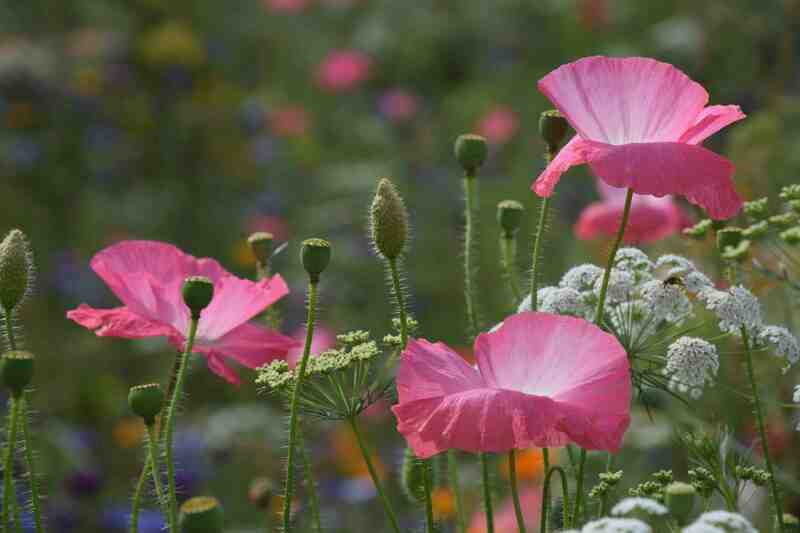 These poppies are just a taster. ← Roll Over Mount Congreve! 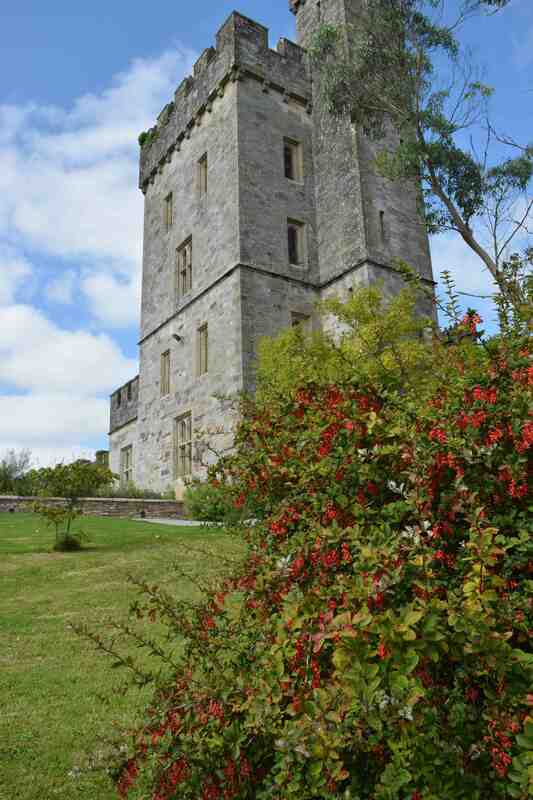 Lismore looks wonderful, I should like to visit it myself having read your tour.